We Sydneysiders are truly lucky. 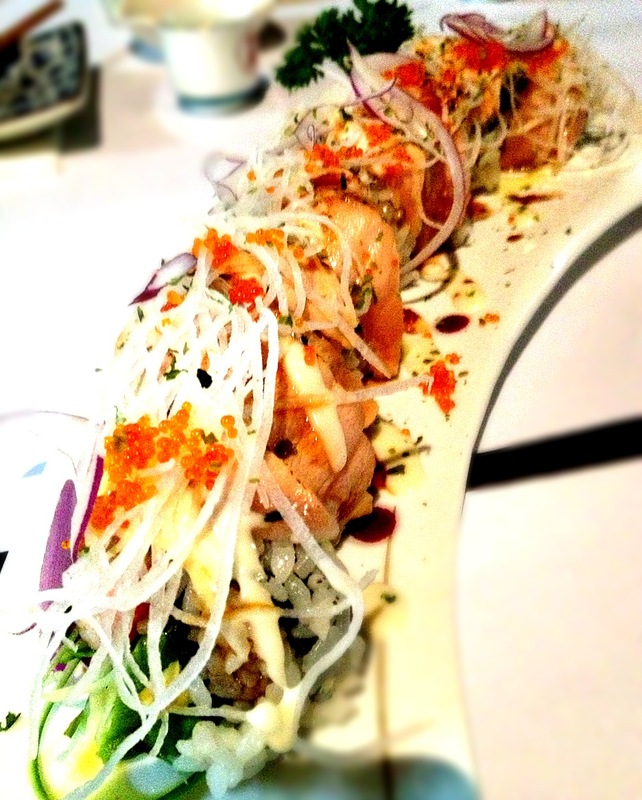 We live in vastly multi-cultural society and source some of the freshest seafood. 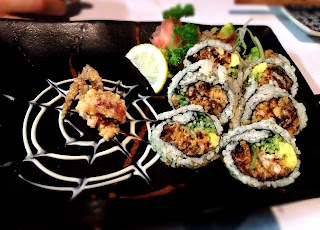 The two combined creates a culinary heaven, where a good meal out may not always burn a big fat hole in the wallet. 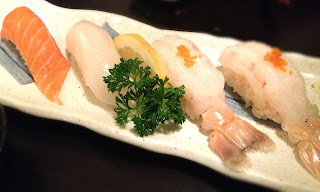 This night I visited one of my favourite fine, but inexpensive Japanese restaurants, Nazimi. 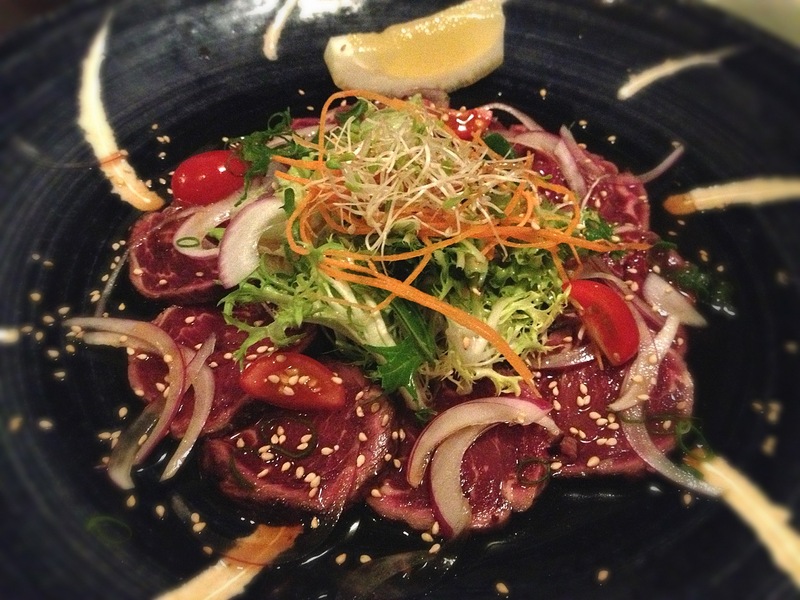 Located very conveniently in the centre of the Sydney CBD in a tiny little basement space, the Nazimi kitchen serves some pretty good looking dishes! 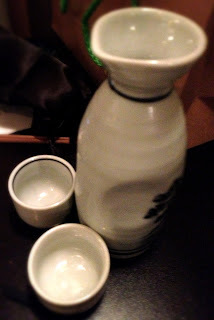 The house sake is wallet-friendly, and compliments well with most dishes. The restaurant is discreetly located on York Street close to the traffic lights on Druitt Street (look for the dining tables outside the entrance). To enter the main dining area, you will need to proceed down a narrow flight of stairs to reveal a cosy but casual and comfortable dining area. As per usual, no perfect meal for me starts without a serving of oysters. 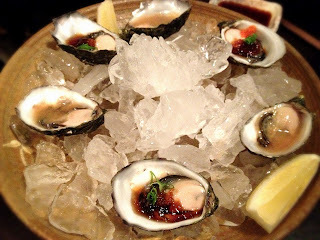 First up we ordered the entree of Oysters with ponzu jelly and special sauce (which tasted like a miso based dressing). The oysters were very fresh and served chilled. 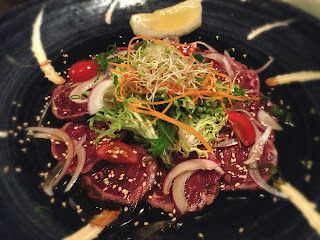 Served next was the Beef Tataki - thinly sliced beef lightly seared on the outside, served with a tangy ponzu sauce and a crispy side of salad. The next dish that followed was the Agedashi Tofu. 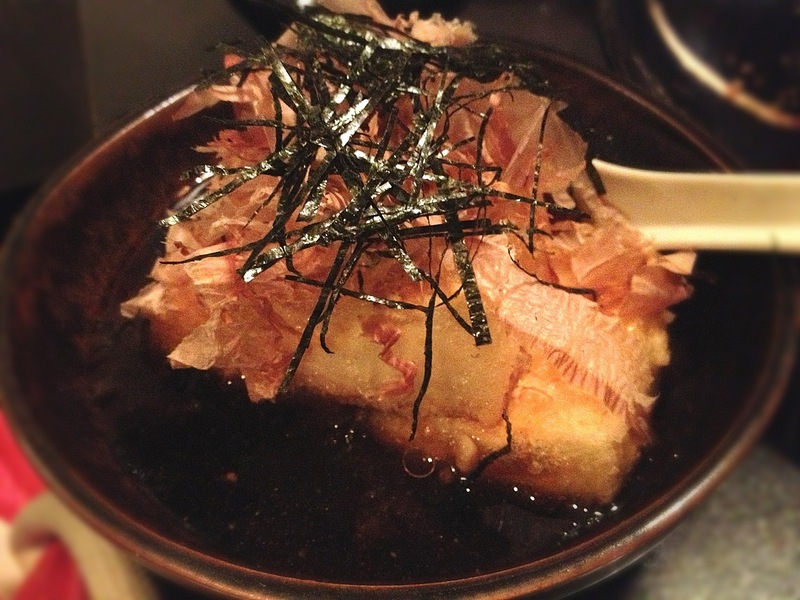 These cubes of soft tofu are coated in potato/corn starch and fried until light chewy, then topped with dried bonito flakes and nori pieces, served in a dashi soup. From the special menu, we ordered the Salmon Carpaccio served in a yuzu dressing. 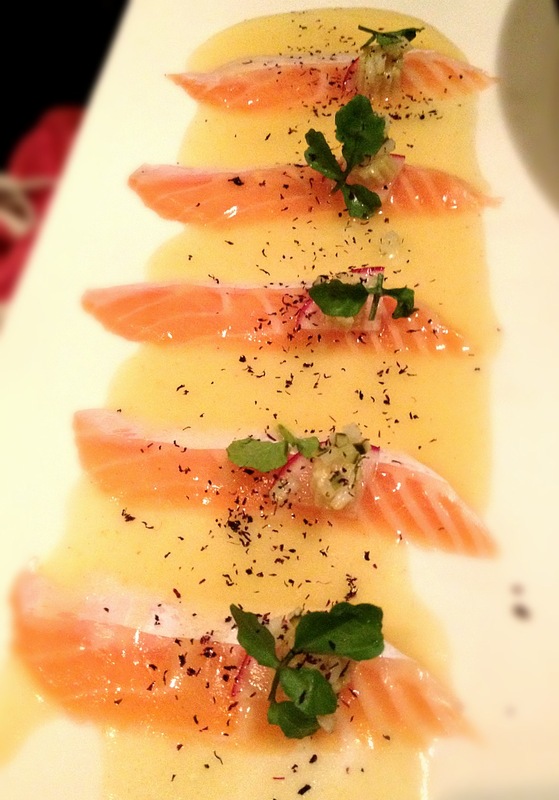 The dressing leans towards the sweeter side, which was a great change to the usual tangy ponzu dressing served with carpaccio. From the nigiri menu, we picked a few of our personal favourites. Pictured below is the salmon sushi, ika (cuttlefish) sushi, unagi (cooked eel) sushi and the scampi sushi. Nazimi is famous for their rolls and so next we ordered the Salmon Aburi Roll (seared salmon roll) and the Spider Roll (soft shell crab roll - I love how they make a spider web on the plate with the mayo!). Central CBD location, friendly and attentive service, casual and cosy vibe, great bang for bucks - this is the perfect place for any occasion (and best for a Friday pre-party food fix, but be sure to book in advance as they are generally busy on Fridays)! If you find the main dining area a little too crowdy and small, its not too bad an idea to try the outdoor dining area - the buses make it insanely noisy but that just means you can talk louder without annoying neighbouring diners! Whilst you're there, don't forget to make a trip to the restroom (you will never feel more welcomed to deal with your personal business as you walk through the kitchen and the crew to reach the ladies/mens).